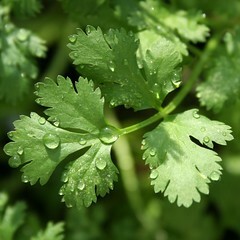 Several brands of cilantro were recalled after evidence of salmonella contamination was found by the Monterey Health Department. The recall affects four brands of cilantro, Nature’s Reward, Ocean Mist, Tanimura & Antle and Queen Victoria, sold by California growers between Jan. 14 and Jan. 28. Symptoms of salmonella poisoning may include stomach pain, diarrhea, fever, nausea, and vomiting, which can last anywhere from 6-72 hours. More severe illness may also result.